If you want to volunteer to coach children basketball, then the Philippines is definitely the right country to be in. Basketball by far is the most popular sport in the Philippines, especially amongst children. As with other sports, playing basketball is a great way for children to keep healthy and active, and acquire personal attributes that contribute to success in life. And it doesn’t take up much space or require fancy equipment, and it’s fast paced and exciting. During the summer school break, there are few organized activities available to keep them constructively occupied. Each summer, we want to offer the children more activities during their school break and need international volunteers to help pitch in. One concern we have is that some parents may place unreasonable work demands on their children during the school break, such as having them resume scavenging work at the dumpsite, labor all day in the fields, or serve as the primary caretaker of their siblings. These are the troublesome parental expectations that earlier led to the children being kept out of school. VFV will work with parents who are financially stressed to help them find other ways to address their problem. VFV is recruiting international volunteers to conduct basketball clinics during the months of April and May. We hope to have more than one coach available throughout the clinic period, and if necessary, we may recruit a local teenager with organized basketball experience to assist. The clinic is open to boys and girls between the ages 7 to 17. Most of the children you will coach have played some basketball, but their skill levels will vary greatly. A few fortunate children may have played in leagues sponsored by the barangay (district government) office. Some of the children have played on regular courts in their neighborhoods or schools. Others would have been limited to playing street-side, shooting at homemade hoops tied to a post. A few children may have played very little or no basketball. 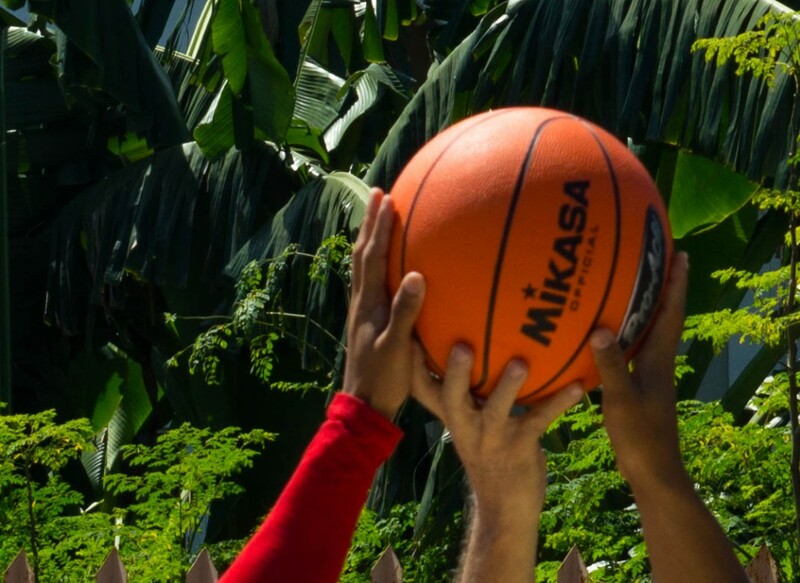 The objectives of the clinic are to teach fundamental basketball skills, to improve health and fitness, to keep the children constructively occupied, and most importantly to foster teamwork, discipline, and self-worth. As a coach, you will serve as an important role model to the children. They will develop teamwork, self-discipline, and self-worth attributes as they see you focus on the positives, treat everyone fairly, emphasize cooperation among participants, and conduct well-organized drills. Cost: $799 US Dollars for 2 weeks, $80 for each week thereafter. Find out more about program fees. Experience: Must have experience playing basketball or sports coaching. Activities: Conduct basketball clinics focusing on logistics of the game, team work, and fair play. Help monitor and provide healthy activities for children enrolled in child welfare programs.